American DJ Mega Go Flood Par HO High Output Battery Wireless LED RGB Par-Can DJParts - All Variety of Parts that DJ Needs. 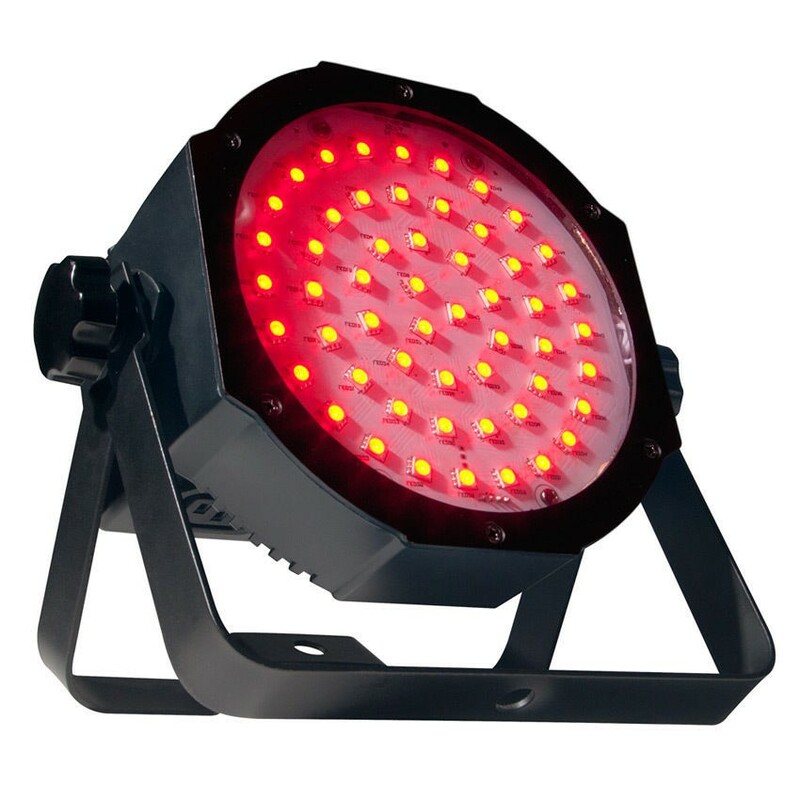 The ADJ Mega GO Flood Par HO is a “high output” rechargeable lithium battery powered low profile LED Par fixture featuring TRI LED (3-IN-1) Surface Mount Diodes (SMD). This Par fixture offers the creativity of RGB color mixing for stage or wall washing, has a 120-degree beam angle, plus the freedom to set up your fixture where ever you wish without the restrictions of power. With a wide beam angle and short throw from it’s SMD (Surface Mount Diode) LEDs, the Mega Go Flood Par HO is designed for short, wide wall washing and backlighting of Scrim. This fixture uses LEDs rated at approximately 50,000 hours with a maximum power draw of 22W. DMX addressing may also be changed by the unit’s 4-button LED display, or controlled by a DMX Controller or the ADJ RFC RF remote control (sold separately). There is no duty cycle, plus users can “daisy-chain” the power from one unit to the next with the built-in IEC power Ins/Outs, up to 25 Mega Go Flood Par HOs. The built-in battery will keep a charge for up to 4.5 hours (full on) from a full, single charge.